Use our Free Trial feature to see how efficient and easy it is to process a lien. Construction Mechanics Lien, Notice to owner / Waiver Forms for the Construction Industry. We are a Do It yourself website for companies that are in the Construction Industry. This is a Nationwide site with state specfic Construction forms. The forms are in compliance with the Statutes for each State and updated as needed if the Statutes change.You can purchase a form for $9.95. 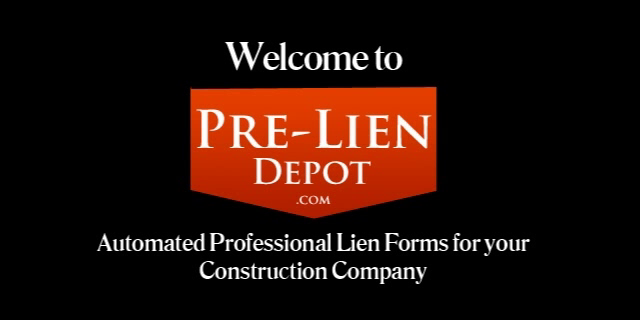 In today's economic times and with constant changes in the Construction Industry, we here at Pre-LienDepot.com, have created a website that allows yourself or a staff member to create and maintain all aspects of protecting your lien rights. If you are a contractor, subcontractor, and/or a supplier this website is a great asset for your company and will definitely expedite your collection process. Here you can prepare your own Preliminary Notice, Mechanics Lien, Claim of Lien, Release of Lien, Waivers, Notice of Intent, Notice of Non Payment, Affidavits. There are hundreds of Construction forms that you can choose from to use and create by following our step by step process, within minutes you will have created your very own Notice to Owner, Claim of Lien, Waiver, Release of Lien, Notice to Intent or which ever Construction form you choose. Our features for this website are fantastic and easy to use. You can view your completed form before printing it, you can edit your construction form as many times as you need and then print. Under YOUR FILINGS you will have the date you processed the Construction Form and the Construction form you picked along with the state you selected. There is also a Add a New Recipient feature that if you need to add to the Construction form another Recipient to receive a copy of the Construction form. Every construction form that you prepare gets saved as a PDF, with this feature you can either print a copy for your file or have access to it on our website 24/7 (paperless). Additional feature is Sub User's account, which allows you to have additional users setup for a different office or even in the same office, with the same capabilities in preparing documents, this feature is great when you have multi-offices across the nation and or you�re in multiple states. We also added links to assist in obtaining the information you need at your finger tips such as the County Assessors, County Recorder websites or Assessors office websites along with the FAQ's for each state. The BEST feature of all is that you are able to access our website from your smart phone. Full service is available see our rates. Try our Demo. 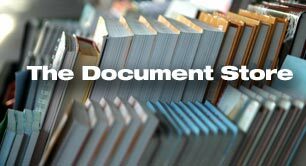 Find Professional Lien Documents Nationwide!